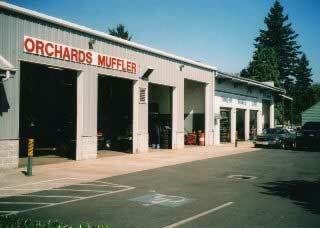 We are excited to announce, Orchard’s Muffler is now located in our facility. Our muffler shop in Vancouver, WA is equipped to provide you with quality exhaust and muffler work of all types. From stock mufflers to any exotic custom design, we can handle it all. The exhaust system for your vehicle is responsible for directing the emissions that your engine produces, out of your car through the muffler and away from you, through one or more pipes and chambers that cool the gasses before it exits through the tailpipe of your vehicle. The way in which exhausts systems operate varies, depending on the make and model of your vehicle. Here at Ron’s Auto and RV Service in Vancouver WA, we are experts in muffler services in including repairs, replacement, and installation. 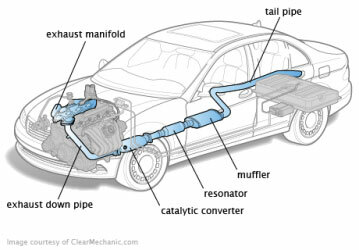 Below you will find additional information about exhaust systems and the muffler services we provide in Vancouver, Wa. Why is the exhaust system for my vehicle important? Your vehicle’s exhaust system is important for many reasons. It is key in removing the harmful emissions that your vehicle produces and it is also responsible for filtering these emissions before it exits your vehicle. The exhaust system also ensures that your vehicle operates with optimal fuel efficiency and regulates the loud noises associated with combustion in your engine. What parts compose my vehicle’s exhaust system? Muffler- silences loud noises associated with combustion. Catalytic converter- converts harmful emissions into less harmful gases. Exhaust manifold- this is attached to the engine and is where your vehicle’s emissions enter the exhaust system. Oxygen sensor- responsible for regulating fuel efficiency. Exhaust pipes- carry emissions from the exhaust manifold to the tailpipe to exit the vehicle. What are the signs of problems with my exhaust system? If you live in an area that uses a lot of salt on the roads, this could cause rust in your exhaust system, which could lead to cracked or broken exhaust parts. Additionally, if you primarily use your vehicle for short, frequent trips this too could cause issues with your exhaust system. If you smell fumes coming from your vehicle, hear hissing, popping, rattling or buzzing noises, or are noticing that your vehicle’s fuel efficiency has declined, it is highly encouraged that you have your exhaust system and muffler checked out immediately.